Did you know that with proper funding, the clean water crisis could be solved in our lifetime? Lack of safe drinking water locks individuals and communities in a cycle of poverty by stripping them of their health, dignity, and opportunity. It keeps children out of school, communities sick, and economies stagnant. Healing Waters International is working to bring safe water to people around the world. 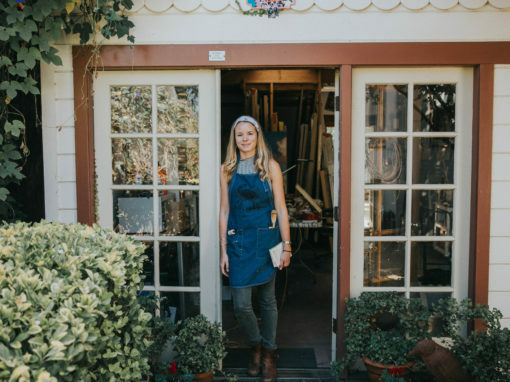 They build holistic clean water solutions and partner with leaders in at-risk communities around the world. By providing the equipment and tools necessary to provide clean water, they are empowering people not just to survive, but to thrive – physically, socially, and spiritually. To date, they’ve distributed over 1.1 billion liters of safe drinking water to communities that previously only had access to dirty water! One of the ways Healing Waters has been raising money for their projects this year is through the Run 5050 initiative. Bryce Matteson of Run 5050 is running 50 marathons in 50 states in the 52 weeks of 2018. 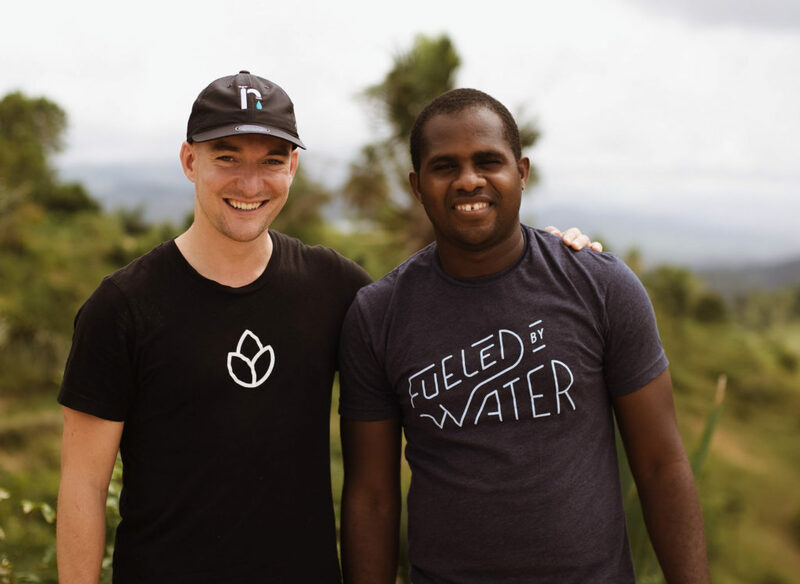 His goal is to bring clean water to 50 communities through the funds he’s raised this year. 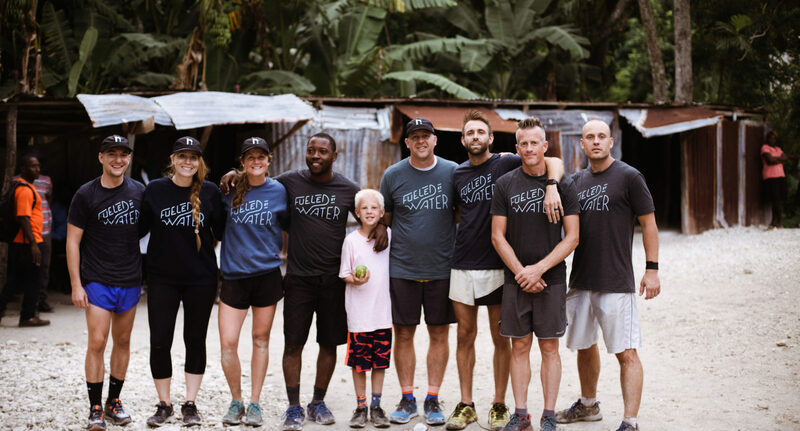 This October, Bonfire had the incredible opportunity to travel to Haiti with Run5050 and Healing Waters International. We sent one of our own, David, to experience the work they are doing in Haiti to bring clean water to communities there. 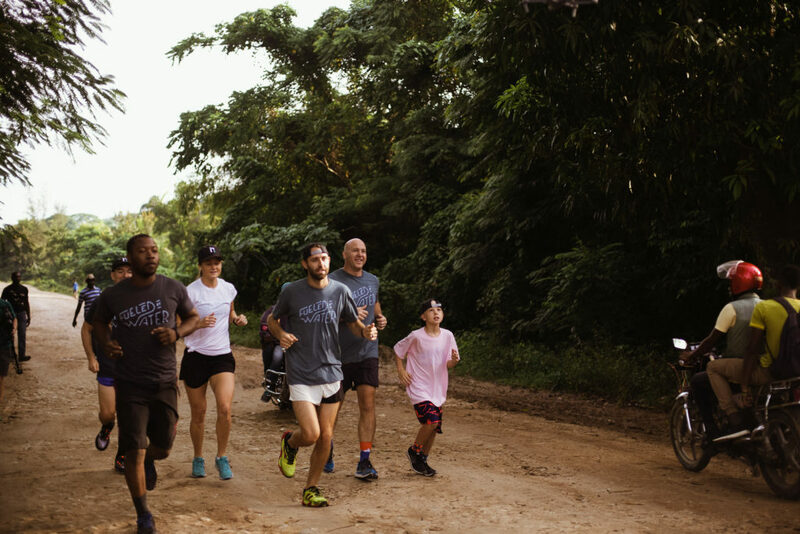 David also got to run alongside Bryce as they ran a marathon from a working Healing Waters project to the site of a new water project that is currently under construction. Read on for our interview with David after his return. David, in the center, is a member of the Bonfire team. He traveled to Haiti with Healing Waters International in October. Why did you decide to go to Haiti? How did you feel leading up to the trip? David: I decided to go to Haiti because I knew it would be a once in a lifetime trip. 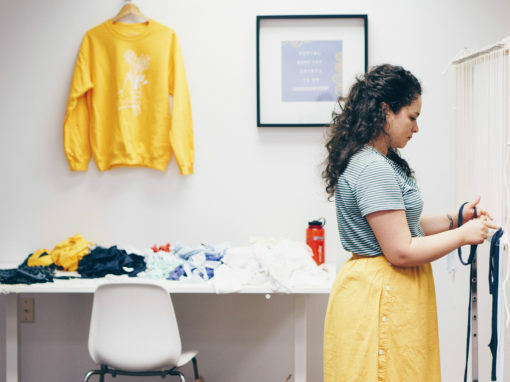 Working at Bonfire, I get the chance to work with tons of awesome causes and organizations on a daily basis, but this was an opportunity to have a totally immersive experience with a group of people doing some truly life-changing work. I was mostly excited leading up to the trip because I’d never been to a place like Haiti before in my life. The tiny island is portrayed so negatively here in the US, being defined to Americans as a place filled with disease and ravaged by natural disasters, but I knew there had to be more to the story. Although, I will say that some nerves crept in when thinking about leaving my wife and unborn child behind to go to a country with a history of violence and natural disasters. I was looking forward to learning about a different way of life and culture and meeting the people of Haiti, people who experience more challenges in one day than I will in my entire life. 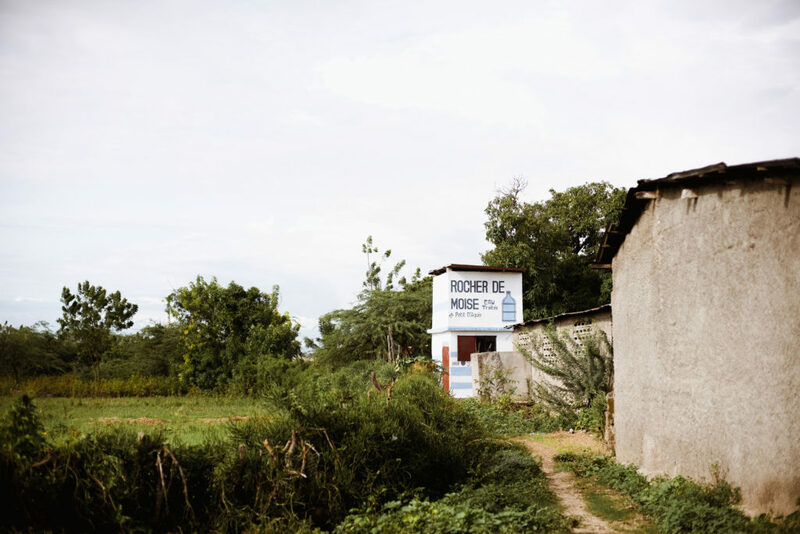 This is one of the communities that Healing Waters has been able to provide clean drinking water for. What did you learn about the Global Water Crisis through this Trip? David: I learned that there are so many challenges outside of just the engineering it takes to create sustainable clean water solutions (which is quite complex in its own right). Just getting around to the villages and towns where Healing Waters had their kiosks installed was a monumental task. The infrastructure of the country is not great, and it takes hours of driving on dirt roads in heavy-duty trucks to get to each town and village. Many of the people Healing Waters serves by providing clean, drinkable water, are incredibly isolated in the forests and mountains of Haiti. 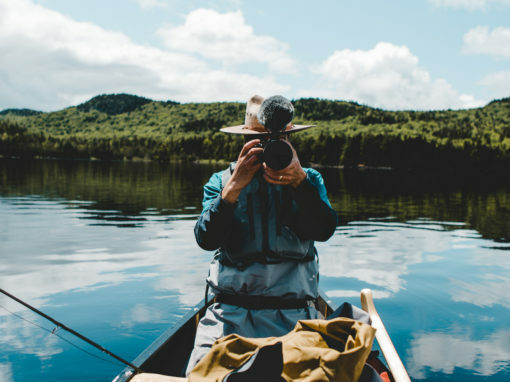 But Healing Waters believes every human is worthy of the dignity of having clean water access, and thus, they aren’t hindered by mountains, flooded roads, or (many) flat tires. What surprised you the most about this experience? David: I think the juxtaposition between how beautiful the island of Haiti is on a macro level and how rough life is on a micro level for the people of Haiti was pretty surprising. 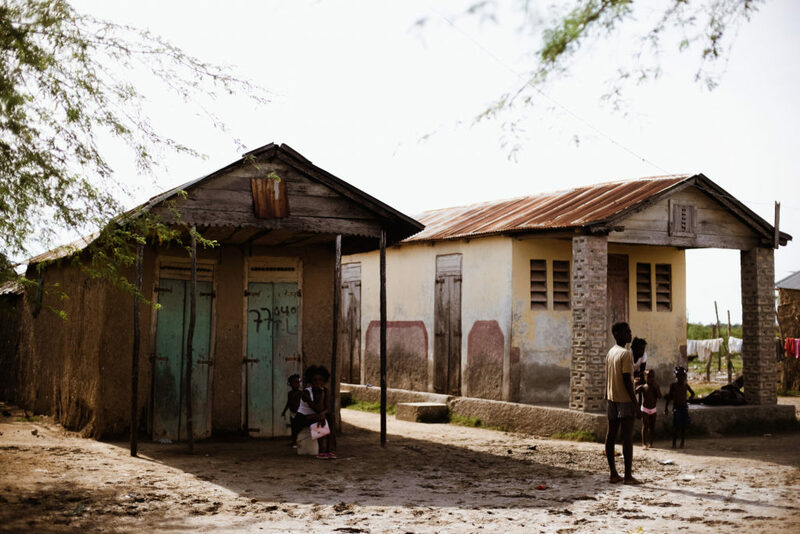 You can read about and see pictures of people suffering from the global water crisis in places like Haiti, but experiencing it firsthand is a totally different thing. You see that these mothers and fathers and daughters and sons aren’t any different from you. You see the hours and hours each day they spend just carrying water to their homes, and typically, this water isn’t clean or safe. You see their humanity and strength and creativity and realize that setting up clean water kiosks can help the people in these communities not just survive, but thrive. The whole team began running the marathon together with Bryce. 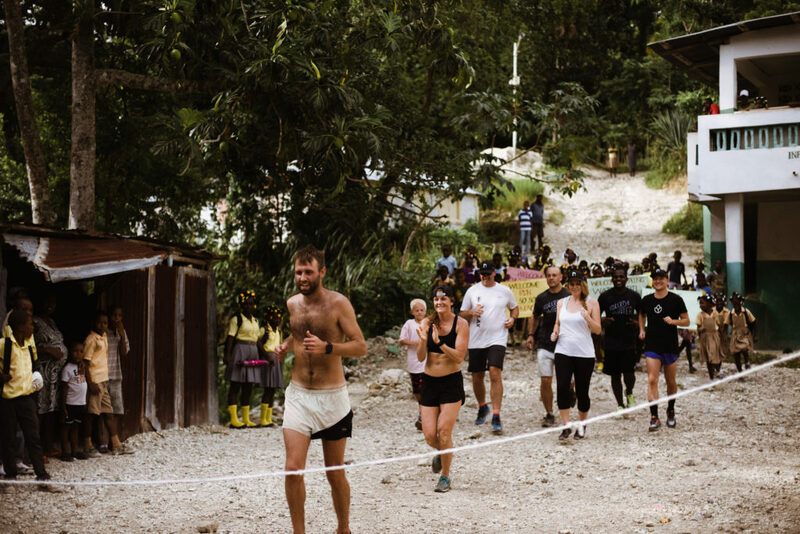 While the team was in Haiti, you all ran along with Bryce as he ran a marathon. What was it like to run part of a marathon there? David: There are no “official” marathons to run in Haiti so Bryce had to make one from scratch. One of the Healing Waters employees named Wesley was tasked with mapping out a course for him that ultimately ended in the town of Macieux where the next clean water kiosk was going to be built. This is also Wesley’s hometown, which makes this water project, and ending location for the marathon, even more significant. The concept of running a marathon is something the locals were fascinated by. They all came out to watch us as we made our way through the course, and they would yell “Kisa w’ap fè? !” (What are you doing?!). It was so cool to be able to show them in such an actionable way how important Bryce and Healing Waters think it is that they have clean water. The run itself was insane… I only ran 11 miles of the odyssey that was that marathon, but I can tell you that I’ve never seen more treacherous running conditions. The terrain was extremely rocky, and the hills were brutal! Miles 12 through 16 were straight up a mountain. When it rained, the rocky terrain turned into a mudslide. We crossed two rivers, ran through bouts of pouring rain, and the Haitian sun beat down in excess of 90 degrees. Bryce and Lindsey were out in those conditions for 8+ hours… Ultimately, the duo probably ended up running closer to 32 miles than 26.2! It was pretty inspiring watching them battle the elements and sacrifice their bodies so fully to raise awareness for the global water crisis. David (left) and Wesley (right) snap a photo together along the marathon route. Tell me about one person you met in Haiti who inspired you. David: Without a doubt, it had to be our guide and all around great guy Wesley! He’s the National Director of Operations in Haiti for Healing Waters and a native Haitian. I knew he was a cool customer about 30 minutes into the trip when a guy from off the street jumped on the back of our truck, and he didn’t even bat an eye (we later learned he was trying to get Wesley to pay him to direct us through a traffic jam, which apparently happens fairly frequently…). Wesley was essential in helping make every aspect of this trip a reality. He is an extremely smart and kind individual who believes wholeheartedly that Haiti can recover from its troubled state. His compassion particularly shines through when talking about his decision to stay on the island despite having multiple opportunities to live elsewhere. I’m paraphrasing here, but when I asked him why he decided to stay in Haiti, he said that “I can make more of a difference here using my gifts than I ever could in the United States or Canada. Plus, it’s my home!”. I know that if given the choice, I would have jumped at the chance to leave and lead a more comfortable life elsewhere. I truly admire his resolve and steadfast love for his people and native land. How has this experience changed what you think about your job here at Bonfire? David: It’s really easy to get wrapped in the day to day aspects of my job and lose sight of the bigger picture. Getting to spend 4 days with virtuous, passionate people who are able to continue their work because of the funds they raise on our site was a special gift. The whole trip was extremely humbling, and I hope that it will be an experience I can call on for a moment of clarity on those days when the minutiae of the day is getting me down. 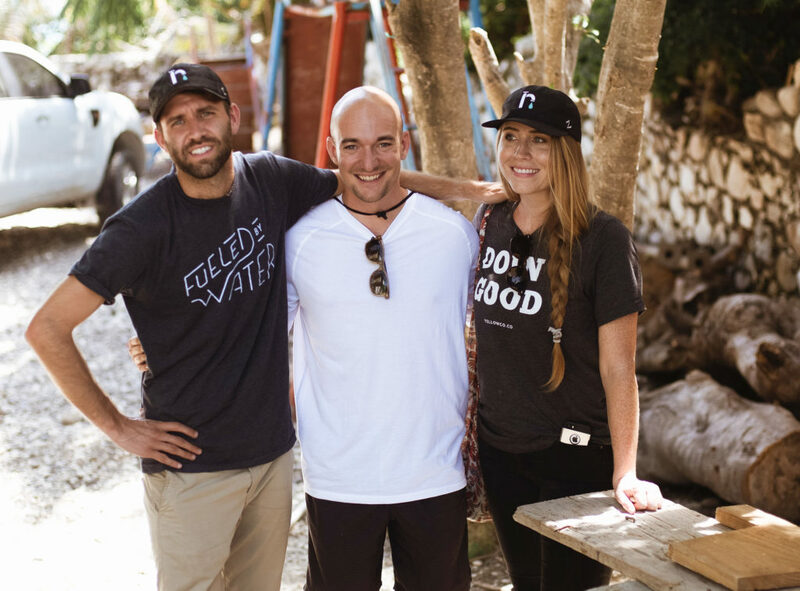 For every 1,000 of these “Fueled by Water” t-shirts we sell, we can bring safe, clean drinking water to an entire community. Will you help us? You can learn more about Run5050 and Healing Waters here.